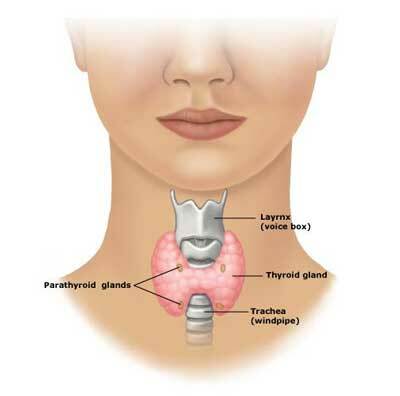 Thyroid gland is a butterfly shaped gland located in front lower part of the neck. It synthesizes and releases thyroid hormones (T3/triiodothyronine and T4/ thyroxine) that ultimately affects body metabolism. Hypothyroidism or underactive thyroid disease is common and occurs when there is an insufficiency of thyroid hormones. Causes of hypothyroidism includes Hashimoto's thyroiditis (autoimmune disorder), radiation treatment to the neck area, certain medications like lithium, amiodarone, IL-2 & interferon alpha, surgery (total or partial thyroidectomy), dietary deficiency of iodine, pregnancy, (postpartum thyroiditis), congenital hypothyroidism (structural or functional), pituitary gland disorders and in extremely rare case disorders of hypothalamus. Symptoms of hypothyroidism can be tricky to associate with the disease as they are vague and often mimic other conditions. Diagnosis therefore can be done with simple blood tests which measures thyroid hormones T4 (thyroxine) and Thyroid Stimulating Hormone (TSH). If need be, a thyroid scan can also be done. Elevated TSH levels with normal T4 implies subclinical (mild) hypothyroidism. Supplementary thyroxine in form of pills with regular monitoring and titration until the correct individual dosage has been established. Poor mental development in a baby could be due untreated thyroid problems in the mother during pregnancy. Most severe form of hypothyroidism called myxedema can be life threatening and lead to coma, hypothermia and ultimately death if left unaddressed. SAVE, GET RICHER & BREAK THE DEBT CYCLE.